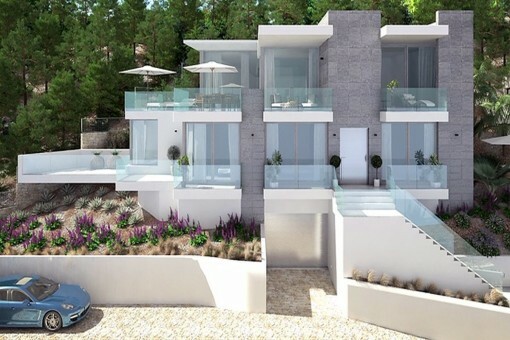 This excellent luxury villa is situated in one of the most sought after streets of Nova Santa Ponsa, nearby golf courses, the famous harbour Port Adriano and various beaches. 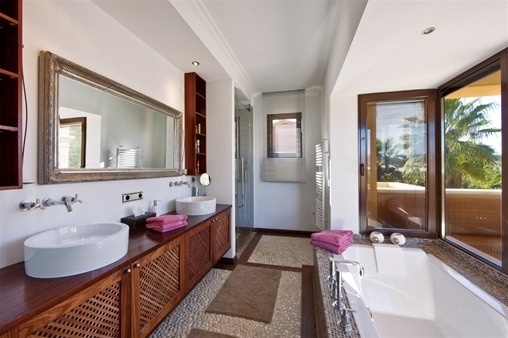 The villa is outstanding due to the high-quality building material. The flat plot with spacious terraces and pool is ideal for a family with children. 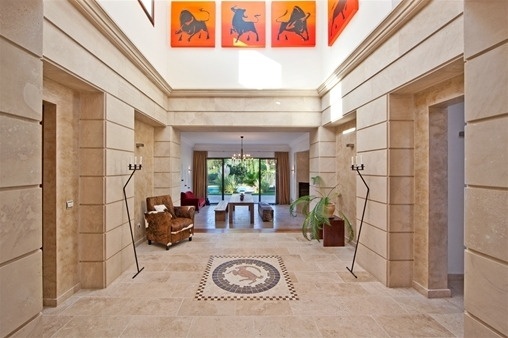 The property can be used as holiday home or principal residence due the comfort of underfloor heating and air conditioning. 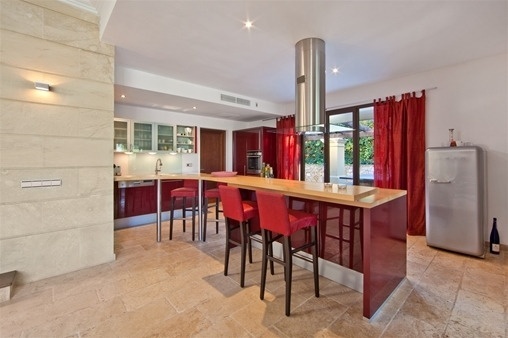 A modern kitchen and a garage for 2 cars complete this attractive villa. Santa Ponsa lies next to a long bay, surrounded by steep cliffs. Separated by a coastal street you find restaurants, bars and shops along the beach area. The beautiful sandy beach is facing west, so one can enjoy the sunshine until late in the evening. Santa Ponsa has a good infrastructure and offers lots of activities like long walks, boat trips, cycling routes as well as swimming and relaxing at the beach. Several buses run daily to Palma and Andratx. Within walking distance from the centre there is a picturesque marina. 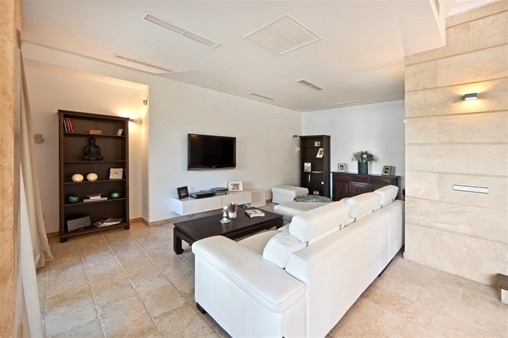 Nova Santa Ponsa is one of the most luxurious residential areas of Santa Ponsa. Here one can enjoy the Mediterranean lifestyle, meet celebrities, play golf on one of the 3 excellent golf courses or enjoy the fitness and spa facilities at the lush Country Club. Exclusive residences on the golf, beautiful apartments in well-kept communities and amazing luxury villas attract wealthy tourists and residents from many different countries. A special highlight is the new and very exclusive harbour Port Adriano designed by the French architect Philippe Starck. On a total surface of 25.000 m2 up to 82 motorboats and sailing ships with a length until 80 meters can be moored. The harbour with its two storey pier has a clean and minimalist design, where you can find 24 shops from high fashion boutiques and restaurants to yacht brokers. At the end of the pier on the top floor the famous Sansibar restaurant has claimed one of the best positions. Here one can enjoy the sun in a distinct and modern atmosphere or have a delicious cocktail at night whilst experiencing the typical marina ambiance. 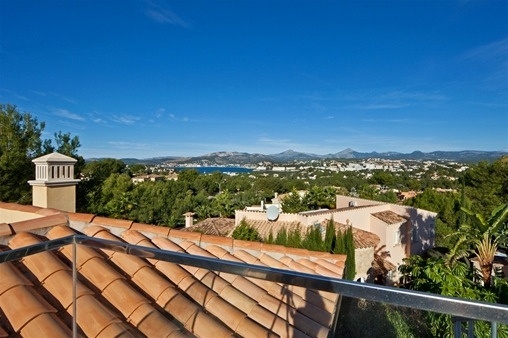 I'm interested in: Luxury villa in excellent location in Santa Ponsa (Objekt-Nr.077236). you are reading: Luxury villa in excellent location in Santa Ponsa - purchase · Porta Mallorquina Real Estate Rating 4,8/5 by 200 testimonials.